New In Stock, Great Spec and Condition Hilux 3.0 D-4D Automatic in Pure White, Only 32000 Miles with Full Toyota Service History, EX Director Owner Driver from New, Inc Factory Grey Leather Interior, Touch and Go 2 Navigation and Media Connect, Big Screen Reverse Camera, Rear Liner and Matching Glazed Canopy Top. Very Light Use from New in Excellent Unmarked Condition Throughout. Inc Just Fitted 4 New Bridgestone Tyres. Overall Lovely Genuine Vehicle, One of the Nicest Examples we have Seen! Please call for more details or to arrange a Test Drive! Another new addition to our premier Pickup Listings. Gleaming Galaxy Black with contrasting Black Leather Seats with Silver Stitching with only 38000 Miles. A One Owner Pickup with Full Supplying Main Dealer Service History. Toyota Touch & Go Navigation is also fitted. 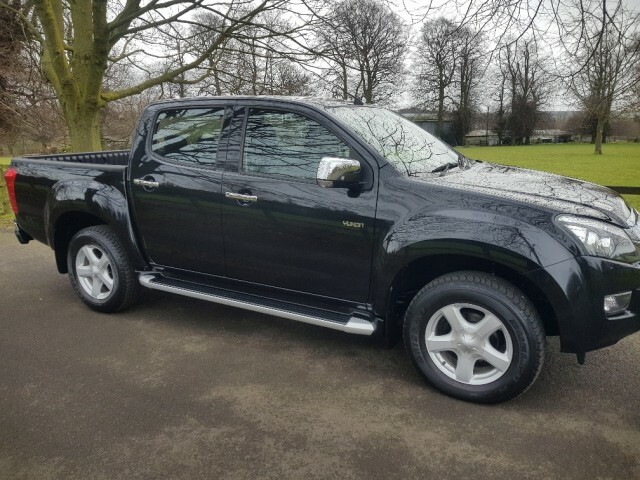 Low Mileage and Light Use from New, Excellent all Round Condition and another Great Value Hilux Invincible. 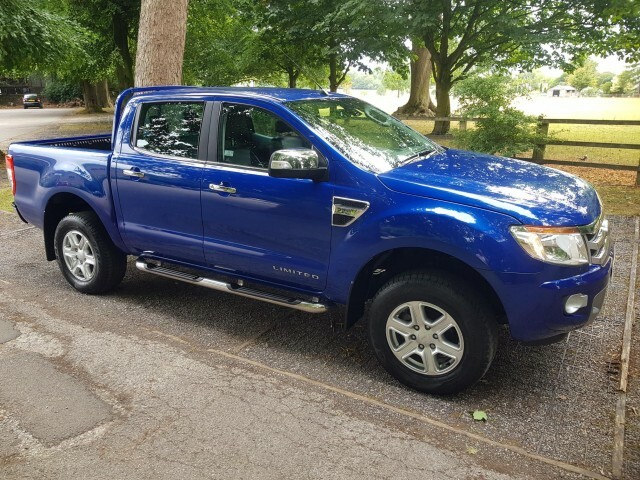 Lovely Example Ranger Just arrived into Stock, In Stunning Performance Blue Mica, with Full Leather Interior and Heated Front Seats, Very Low Miles at only 17000, with Full Service History, All usuall Ltd Edition Spec, Very Light Use from New Hence the overall excellent Condition, Not Towed or worked, One Owner From New, Ex Managers Own Vehicle. Our latest part exchange, Just arrived. Fastidiously cared for by local private owner. Impressive condition throughout. Finished in gleaming Island Blue with matching sliding windowed glazed canopy. A tow bar is also fitted. Great, Great value Invincible 3.0 without VAT- NO VAT! EX Managers Vehicle, In Stunning Pure White Late 2014 Spec with 29000 Miles, One Owner Company Vehicle, Full Service History, Great All round Condition, Not Worked, Towed or Farmed, Good Spec, Overall Unmarked Condition, A Late Model Pickup, And Amazing Value. New Towbars, and Canopies ain Stock to Complete the Spec if Reqd. Latest Model LWB High Roof Boxer, VERY VERY LOW MILEAGE 11000 Miles, Full Spec Profesional, 6 Speed Man, Factory Extras Inc Touch Screen Navigation / Media and Cruise Control, Factory Bulkhead, Air Con, Reverse Park Sensors, Fully Ply Lined. Represents Excellent Value for Money. Great Spec and Great Value! Balance of UK Warrantee to 100,000 miles or April 2018. Just Arrived in PX for another New Pickup, Supplied by ourselves to Previous Local Owner, Impeccably maintained with Full Stamped Service History, Just Had Full Service and 4 New Bridgestone Tyres, 3.0 Ltr Manual Invincible Spec Inc: Touch Screen Media Connect, Reverse Camera, Climate Control. Extras Inc: Rear Liner, Rear ARB Work Canopy with Solid Back and Gullwing Opening Doors, ( One of the Most Secure Canopy Systems you can Buy ) Excellent Original Condition Through out, and Must be Seen to be Appreciated. Please call for more details or to arrange a Viewing!